Here is a cartoon elephant that may not look like a cartoon elephant. Sort of like an emotion in disguise. Emotions in disguise are emotions that may not be clearly recognizable. 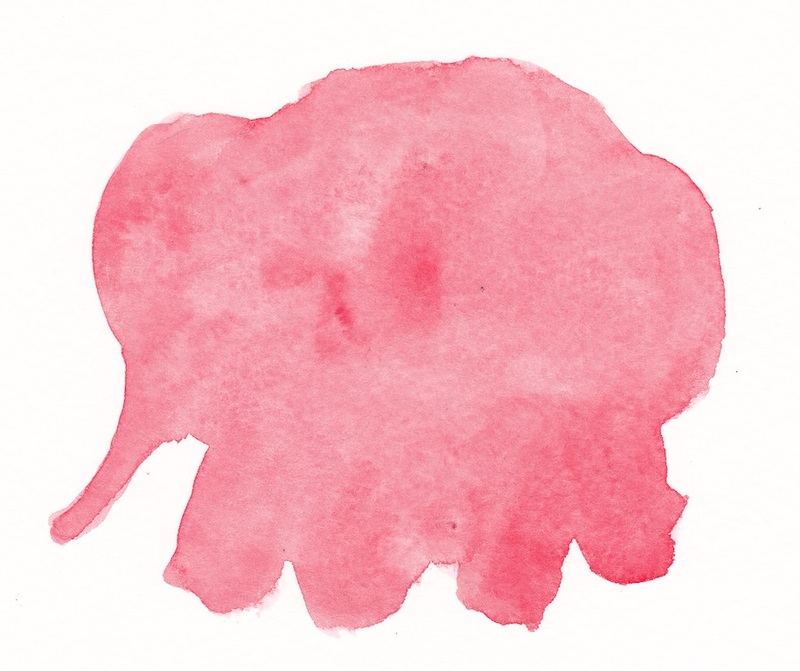 Sometimes your pink will become a cartoon elephant with edges and tusks and lines, and it will help you understand yourself and your situation better. 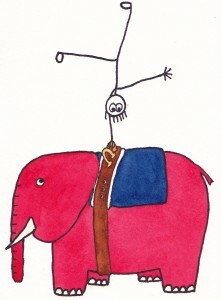 For more on how cartoon elephants help us solve emotional problems, visit www.cartoonelephantbook.com and buy the book. Why is your teen depressed? Depression often occurs when something that has been rewarding, reinforcing, consistent, or available gets taken away. We get depressed when relationships end, when we lose people we care about, and the things that we were taking for granted are suddenly no longer available. Depression is the lack of something. Depression is often associated with loss, change, or a disconnection with the reinforcing aspects of our life. People are often depressed when they don’t have enough connections, experiences, interactions, or things in their life that naturally bring about joy, peace, or a sense of well-being. Depression can often be associated with lack of activity, becoming withdrawn, and staying in bed. People sometimes get depressed when they don’t have enough to do, or when they are overwhelmed with multiple demands. Teens can often be depressed because they do not get enough things in their life throughout the day that give them a sense of well-being or joy. Being able to take mental breaks, have activities that they look forward to doing, and have enough “down” or “me” time is critical in mitigating depressive symptoms. Taking a plethora of classes that one really dislikes, being behind in homework, and having non-stop activities scheduled until bedtime can sometimes be enough to get a teenager depressed. Social losses, such as a recent break up, an exclusion from a friend group, or navigating the unfamiliarity and changes of a demanding schedule can negatively impact mood. Try to keep in mind that depression has to do with what is lacking. If your teen is comfortable in social situations, feels as if he or she has choices in making his or her schedule, is not expected to work nonstop outside of school, feels a sense of contribution/ effectiveness/ mastery in some area of his or her life, and engages in activities he/she looks forward to, then he/she will be less likely to be depressed. 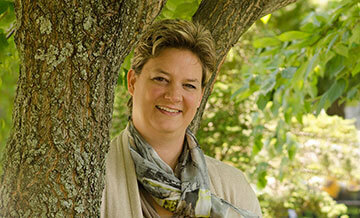 What could be more reinforcing for your teen? Try to think of reinforcement as something rewarding, enjoyable, energizing, or even peaceful. Don’t limit your thinking to only adding things, as the demands of having too many things can in and of itself be a problem. Balance is key. Consider how these simple things might really matter: Sleeping in, taking a long hot shower, watching a favorite TV show, hanging out, or interacting with a parent in way that feels appreciative or warm. Consider that finding happiness is not the key to treating depression; rather it is creating a life that is rich, full, balanced, and meaningful. In addition to time management, scheduling, and navigating opportunities that are reinforcing, a parent might also want to consider key biological factors that really matter when it comes to managing mood. Consider your teenager’s sleep schedule. Is he or she getting enough sleep? Sometimes teens think they can overcome their biological limitations by staying up extremely late and thinking it doesn’t impact mood. Sleep should be a priority, because a lack of sleep often precipitates a big blowup, a heated argument, or other behavioral issues that are clearly difficult for parents. Is he or she getting adequate nutrition, eating at regular intervals, and relying on something besides caffeine, carbohydrates, and sugar for energy? French fries and Coca-Cola will not be adequate. Skipping breakfast or lunch doesn’t help either. Sometimes we like to attribute mood problems to conflict at home, problems with stress, or the demands of homework. However, taking some simple steps to increase pleasant experiences, take enough “breaks”, and manage biological factors can go a long way in treating adolescent depression. When did you last eat? Irritability because you are hungry is common, but many people underestimate how important it is in managing emotion. Irregular eating habits, using caffeine/ sugar/ carbs to fill oneself up, and overeating when overly hungry can have a big impact on mood management. Are you going through biological changes? Medication changes, alcohol use, dehydration, sickness, pain, smoking habits, caffeine dependency, and menstrual cycles all affect how we feel. Taking care of your biological wellbeing will help you take care of your psychological well-being. If possible, consider saving that “difficult conversation” for later- and not when you are at your biological worst. How is your sleep hygiene? Get to bed at a reasonable hour, use the bedroom only for sleeping, and generate calming routines before bed. Don’t overestimate how irritability is more likely to s how up when you stay up extremely late or sleep all day. Is the weather getting to you? Extreme temperatures can make people irritable. Get out of the cold or the heat. Make use of bright lights, warm temperatures, and potential social gatherings when it gets dark early. When is the last time you did something you liked, enjoyed, or looked forward to? Doing things you enjoy will put you in touch with positive feelings, even if they are temporary. Do more of what you love, especially if you are in the middle of a crisis. Making time to do so is critical. When is the last time you worked hard to accomplish something difficult? Building mastery and surviving challenges gives us a sense of accomplishment that can happen despite painful life circumstances. When is the last time you had a tricky relationship situation and you feel proud of how you handled it? Remember that approaching situations with some element of acceptance can enable us to be more flexible; creating more options for the other party and making them feel less trapped. Notice what you feel without judging. Sometimes people believe that if they don’t feel a certain way, they are missing out on some kind of grand, spiritual, or wonderful experience. I am reminded of the Charlie Brown Christmas special in which he doesn’t feel like he “should”. Not everyone is awed, exhilarated, or spiritually “moved” this time of year. Accept and acknowledge the mundane, the everyday, or the not-so-wow experiences this season. Remember that the glue that holds us together in the smaller, everyday nuances of our existence and our relationships also has meaning. Foster the relationships that matter. If you want to feel more connected and less detached, practice ways to participate willingly, go with the flow, risk being open, and become involved. Volunteer, show up for the holiday parties, attend services, and remain attentive and awake to what is going on around you. Although it is possible that exerting energy takes effort (and may not completely diminish loneliness), it gives you an option to temporarily shift your mood. If you are out shopping or involved in intense holiday planning, make sure that you don’t skip meals or shop on an empty stomach. Take periodic breaks that include sitting down and being away from loud noises, bright lights, and crowds. Consider what you need and the cost/ benefit of overestimating your energy and pushing yourself too hard. You don’t have to be an Olympic vaulter in order to handle elephantine sized emotions! I have been working very hard on my book The emotional extremist’s user’s guide to handling cartoon elephants: How to solve elephantine emotional problems without getting lost, stuck, run over, chased, flattened, squished, or abandoned by your true cartoons. What a project! As the author, illustrator, and graphic designer of the cartoon elephant project, I have to tell you this is no easy task. I have been working on the cartoon elephant book for some time now. It actually started in 2008 when I was looking for creative ways to teach people how to handle emotions. And it’s already 2012! Why is this project taking me so long? Mostly because I’ve never written anything that is mostly graphic design. In this journey I’ve created a lot of watercolor paintings, learned Adobe InDesign, and made may way through multiple revisions with ongoing feedback from clients, colleagues, peers, and family. The current working draft is approximately 180 pages. Yes! I have a lot of cartoon elephant tips to share. I’m aiming for the cartoon elephants to have their very own website near the end of August. I keep thinking…I’m almost done with this book…But when I start editing, arranging, and laying out pictures I realize that I’ve got to give it my best. Sometimes I get overwhelmed. But I keep plugging away. And that ends up taking time. I am persistent. I have not given up. So if you have been patiently waiting on the cartoon elephants… know that I have not forgotten you. In the end, it will be worth it.